A comprehensive collection of audio processing tools, the Waves Diamond plug-in brings unparalleled signal processing power to your studio, for tracking, mixing, mastering, creative sound design, and audio restoration. 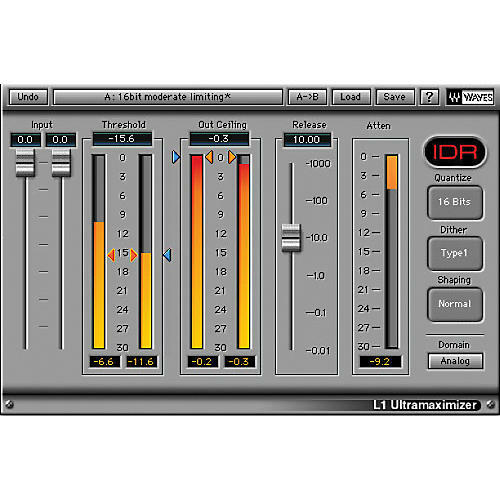 Diamond software now includes Q-Clone, Waves Tune LT, L3 Multimaximizer, and IR-L Convolution Reverb as well as all the plug-ins found in Waves Platinum, Restoration, and Transform bundles-a total of 41 essential processors. From dynamics, equalization, and reverb to pitch correction, spatial imaging, and beyond, Waves Diamond plug-in is a must-have for every serious studio and computer-based recording environment.